Follow SH 1 north from Taupo for about 1.6 km, turn right into Huka Falls Road and follow the signs to Huka Falls. The walking track to the left across the bridge. 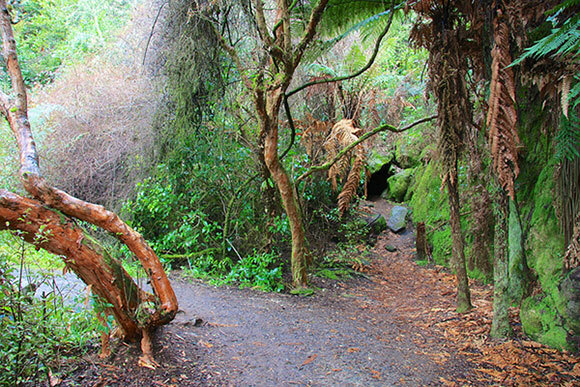 You follow this track right along the bank of the Waikato River which leads behind the last viewing platform over Huka Falls. The track then elevates on to the cliff tops from which there are some excellent views of the Waikato River. From here the track descends gradually and continues along side the river, leading to the Aratiatia hydro dam and rapids. There is a picnic area at Aratiatia Reserve. 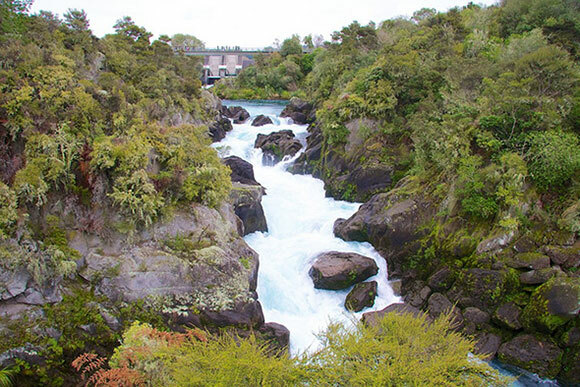 There are three viewing points overlooking the Aratiatia Rapids. Access to them begins 50 metres from the bridge on the right side (downstream) of the Waikato River. The control gates at the dam are opened several times a day to allow the rapids to flow - this is a spectacular sight so try and time your journey accordingly! You can check opening times with the Taupo Visitors Centre. You can either return via the same route or arrange transport from Aratiatia.